Albert Victor Bicknell was born in late 1887 to Arthur Bicknell and his wife Sarah Ann née Wright. Arthur and Sarah were both born in about 1852 in Warwickshire in Bulkington and Barnacle respectively, and their marriage was registered at Foleshill in the last quarter of 1873. In 1881 Arthur was a coal miner and the family including Elizabeth Wright, Arthur’s mother-in-law, was living in Bulkington. The family then, and certainly later, were much involved with brass bands, and indeed there was a Bicknell Brass Band, founded by Albert’s grandfather, George Bicknell, which would by 1901 become the Bulkington Brass Band. There were four children: Thomas E was born about 1875 in Barnacle, Warwickshire; Amy was born in 1877; Clara A in 1878; and Albert Victor in 1887. Before early 1891, indeed probably before 1887, the family had moved to live at 60 Oxford Street, Rugby. Albert was baptised on 10 November 1887 at St. Andrew’s church, Rugby; Arthur was now a labourer, and in 1891, Arthur’s mother-in-law who had been with them in Bulkington, was still living with them, as well as some lodgers. They were still in Oxford Street in 1901, when Albert was three years old and his grandmother was 90; the house was now numbered 123, which may represent the Post Office renumbering rather than any change of residence. Albert’s marriage with Sarah Ellen Beer was registered in Rugby in the second quarter of 1907. She was about a year younger than Albert and had been born in about 1888/89 in New Bilton. The family had moved to Coventry before 1911, and Albert was a ‘General Labourer, Engineer Machine Works’ and they were then living at 74 Thomas Street. Albert and Sarah already had two children: Elsie, 1908-1954; and [Kathleen] Olive, 1910-1972. George Thomas Arthur, 1912-1965, was born the next year. After a five year gap, some whilst Albert was in France, the youngest child, Frances Lillian, 1917-1991, was born. Her father probably never saw her. Very soon after war was declared, Albert enlisted in Birmingham as No.8031 in the 10th Battalion, Royal Warwickshire Regiment. A family photograph showed him looking very young and ‘pink cheeked’. His number suggests that he enlisted in early September 1914, when the 10th (Service) Battalion was raised at Warwick as part of the second of Kitchener’s new armies. The battalion was assigned to the 57th Brigade in the 19th Division training on Salisbury Plain. In December 1914 the Battalion was in billets for the winter and in March 1915 concentrated with its division around Tidworth. Whilst some records suggest that the Battalion embarked for France and Flanders on 17 May 1915, other records have the division landed in France on 17 July 1915. Albert’s medal card recorded that he went to France on 18 July 1915, which would support the later date. During the Battle of the Somme in 1916, the Battalion was in the operational area between 1 July and 7 August and between 7 October and until the end of that battle on 18 November 1916. Family recollections are indeed that he served in the first battle of the Somme in 1916. It would also appear that he had leave in UK – or perhaps he had been wounded – sometime at the end of that year or early in 1917, after the Somme. A portrait photograph (copyright restricted by owner) can be seen on the Ancestry website. It was said to have been taken ‘after the battle’ in 1916, presumably in the UK. This tends to be confirmed by the birth of his fourth child the next year on 26 September 1917. He was promoted to Lance Corporal at some date, possibly after he returned to France. The following year, on 21 March 1918, the Germans launched a major offensive, Operation Michael, against the British Fifth Army, and the right wing of the British Third Army. The artillery bombardment began at 4.40am on 21 March 1918, and hit targets over an area of 150 square miles, the biggest barrage of the entire war. Over 1,100,000 shells were fired in five hours. The formation for the British order of battle for that period which was also known as the Battle of St Quentin (21-23 March 1918), included 10th Warwickshires which were near St. Quentin with the 19th (Western) Division and the 57th Brigade in the Third Army (under Byng). The Battalion was in action east of Beaumetz facing Doignies. Because of the intensity of the battle, and as the Germans were moving forward, many of those killed could not be identified. 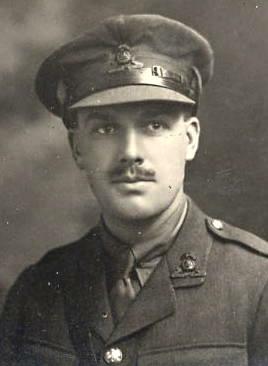 Albert was killed on the first day of the action on 21 March 1918. The Battalion War Diary for 21 March 1918 includes the following. – 5am – The Battn. was in rest camp in BARASTRE when the alarm was given by intense artillery fire; orders were given to stand to arms and extra S.A.A., bombs, rifle grenades, rations etc were issued; the Battn was ready to move by 5-45.am. Breakfasts were then served. – 6.40pm – The remainder of the Brigade … launched counter-attack. Albert was one of those killed during the actions on that initial day of the German attack. His body was found and identified and was buried initially in Barastre Communal Cemetery (Extension), row G, E, 5. The cemetery was probably then behind German lines and contained 284 German graves, 46 French, and the graves of 39 from the United Kingdom, four from New Zealand and one from Australia. Some time after Albert’s death, the allies held the advance which had badly weakened the Germans and their supply lines, and they fought back. The 10th Battalion ended the war in the same formations on 11 November 1918, well to the east, just west of Bavay, France. The British graves at Barastre were later concentrated [moved] some 10km north to the H.A.C. Cemetery, Ecoust-St Mein. Ecoust-St.Mein is a village between Arras, Cambrai and Bapaume. H.A.C. Cemetery is about 800 metres south of the village on the west side of the D956 road to Beugenatre. Albert was reburied in Plot VIII. C. 26. On the Burial Return his name was spelled ‘Bricknell’, (it was correct on the Barastre Cemetery list) and identification was confirmed by his ‘service dress, G S buttons, boots, cross’. The name was correct on the official memorial stone,5 however, there was no additional wording requested by the family, and no family details appear in the Graves Register. His Medal Card showed that he was awarded the British War Medal, the Victory Medal, and the 1914-15 Star. After the war, Sarah E Bicknell remarried with Robert W Knight; the marriage was registered at Rugby [6d, 1457] in the fourth quarter of 1921. This article was researched and written for a Rugby Family History Group [RFHG] project, by John P H Frearson and is © John P H Frearson and the RFHG, January 2015, and updated December 2017 and March 2018. Thanks to Angela Pain who visited the RFHG stand on a Heritage Day, 2014, and provided background information and put the author in contact with her cousin Clive Rodgers who has provided information and images which were posted on the Ancestry website. In due course, it is intended that an updated – and corrected – version of this biography will be provided by Clive Rodgers, which will hopefully include the presently withheld images. The Bicknell Band was founded by George Bicknell and initially only included Bicknell family members from the Bulkington area, Warwickshire. In the 20th Century, the name changed to the Bulkington Silver Band. The last conductor who was a member of the Bicknell family was in charge in the 1970s. A photograph can be seen at http://trees.ancestry.co.uk/tree/55005900/person/13871891414/media/8e425e94-3f51-4111-a6a2-6a49c64de6c2?pg=32768&pgpl=pid. Information from ‘The Long Long Trail’. Copyright withheld for the present by the family. See Rugby Remembers, 23 March 1918. Burial Return, 10 February 1926, CWGC. The returns are lists of individuals who have been exhumed from their original burial location and reburied in a particular cemetery. They provide basic details of the individual, but may include information as to their original burial location and occasionally some details of how they were identified. These additional details would have been omitted if the individual was reburied in the same cemetery or identified using normal methods, for example, via a service tag. William John Hardman was born in Rugby in 1897. He was baptised on 7th Feb 1899 at St Matthews Church, Rugby, together with his sister Nellie, born in late 1898. His parents were James Hardman and Elizabeth née Giles and they were married at St Matthews on 19th Oct 1890. To start with the family lived at 3 Vine Place, but by 1901, when William was 3, they had moved to Overslade. Father James was a Domestic Groom. He joined the 15th Bn., Royal Warwickshire Regiment in May 1916. By this time the family were living at 9 James Street, Rugby. William John Hardman died of wounds on 27th Oct 1917. The regiment had taken part in the Second Battle of Passchendaele, which started on the 26th. He was buried at Lijssenthoek Military Cemetery. Lijssenthoek was the location for a number of casualty clearing stations during the First World War. The village was situated on the main communication line between the Allied military bases in the rear and the Ypres battlefields. Close to the Front, but out of the extreme range of most German field artillery, it became a natural place to establish casualty clearing stations. His elder brother Walter had died in 1915. Another brother, Charles Henry, James and Elizabeth’s oldest son, was to die in 1918. Mr Hardman would assist in the opening of the Rugby Memorial Gates, in 1921. Arthur William Collins was born in 1888 in Bittesby, Leicestershire and baptised at Claybrooke on 22nd April, that year. In 1891 the family was living in Willey where William, an agricultural labourer, had been born. Arthur’s mother, Jane (nee Loyde) came from Church Eaton in Shropshire. They were still there, at Cross in Hand Cottage, in 1901 where William was now a waggoner on a farm. No occupation was given for thirteen year old Arthur. By 1911 they had moved to Rugby, Arthur William was 23, a cement loader. He lived with his parents at 128 New Street, New Bilton. William was also worked at the Cement Works, as a shunter. In the report of his death, it states that he was wounded in September 1916, probably during the Somme Offensive. A few months earlier, in early July his younger brother Harry had been killed and it was reported then that the family had three other sons serving. Arthur William Collins died on 26th October 1917, the first day of the Second Battle of Passchendaele, the final phase of the 3rd Battle of Ypres. His body was never found or identified and his name is listed on the Tyne Cot Memorial. He was 29 years of age. His parents address was given as 45 New Street, New Bilton. He is also listed on the Croop Hill Memorial, Rugby. Sidney George Wolfe was born in Sun Street on the 14th February, 1890, to George (Railway Engine Cleaner) and Julie Wolfe and was baptised at St. Andrew’s Church on the 28th March. George James Wolfe was born in Shakerstone, Staffordshire, in about 1869, and married Julie Mary (née Wing), who was born the same year, in Stretton-on-Dunsmore, in Rugby in 1889. In 1891 the family was living at 854 Old Station Square, Rugby and they had a lodger, Walter Wing, an engine cleaner, who was Julie’s younger brother. In 1901 the family had moved, or had possibly been renumbered, and was living at 809 Old Station Square, Rugby. George J Wolfe was still a Loco Fireman, and that night they were putting up a two year old nephew, Raymond Wing. Sidney would have entered Elborow School in 1897/98, under Mr Walker, but the first appearance in the records is in August, 1901, at the Sports Day, competing in the 440 yards flat race, the 100 yards flat, and also the fun-event ‘Coach & Horses’ where thrills and spills abounded. He commenced duties as a Pupil Teacher in September, 1906, transferring to the Lower School VI Form. He made his mark on the sports field, playing regularly for the school football team as well as the occasional cricket match, and was appointed ‘Monitor’ in Lent Term 1907; by July he had become Head of Town House. In December ’07, he gave a lecture on “The World on Wheels” to the Literary & Scientific Society, and in 1908 he was awarded the Old Laurentian English Prize. He returned to Elborow towards the end of the Summer Term to complete his Pupil-Teachership, having taken, and passed, his Oxford Senior Locals exams. He then went on to Saltley College, Birmingham, to gain full qualifications for a teaching career. By 1911 he was in Sheffield, working as an Assistant Teacher in an (unknown) Elementary School, but returned to Elborow as an Assistant in June 1912, contributing to the School Magazine in July that year. He was, at this time, also appointed ‘Lieutenant’ in the new Elborow branch of the Rugby 1st Company Boys’ Brigade. At that year’s Annual Concert he played the double bass in the Orchestra, but also arranged the ‘Physical Culture’ display by the Junior boys. By November, he had been admitted into the Coventry Rugby Club’s team in September as “a forward with a good reputation”, and on 23rd October he was selected to represent the East Midlands against South Africa at Leicester on November 9th. On the outbreak of war, Sidney enlisted in the 7th Battalion, Royal Warwickshire Regiment. He joined up on the 2nd September, and signed his Attestation papers on the 3rd. By 31st October had been promoted to Acting Sergeant, a rank that was confirmed ‘in full’ when he was transferred to the Divisional Cycle Company in January 1915 before embarking for France (Le Havre) in March. After serving in the 48th Divisional Cycle Company for almost a year, Sergeant Wolfe was temporarily attached to the 28th London Regiment in February, 1916, pending a course of instruction at Cadet School, and was then granted a Commission, with promotion to Temporary 2nd Lieutenant on 30th April. Transfer to the 10th Battalion, Lancashire Fusiliers followed. Back in the UK, he was very ill for many months, but recovered in hospital and convalesced at home under the care of his wife Nellie (nee Smith), whom he had married just after enlisting; he no doubt took great pleasure in watching the antics of his baby son, Roland, who was born in mid-1916. Nevertheless, he returned to France in May, 1917, receiving a promotion to 1st Lieutenant with the Fusiliers. His unit was in the Ypres Salient, and was involved in the 1st Battle of Passchendaele which began on October 12th. The British had planned to capture the ridges south and east of the city of Ypres, but after a dry spell in September, rains began on 3rd October and conditions became very difficult. The evening of the 21st October was dry until after midnight, when it began to rain and a thick mist rose and it became impossible to see more than a few yards by the time the advance began on the 22nd. Despite a drying wind for several days, the ground in most places was a morass. The attack on 22 October 1917 is described in four pages of the Battalion Diary. The Battalion formed up at 2.30am, and zero hour was at 5.35am and they moved forward close to the barrage, which was ragged and too slow and caused several casualties. They encountered heavy machine gun fire, and later in the afternoon had to repulse a German counter attack which was done successfully. That day, three officers were killed, including Lt. S G Wolfe, and 27 Other Ranks (ORs); one officer and 42 ORs were wounded and missing; and seven officers and 174 ORs were wounded. Deceased was an Old Bablake boy, and after staying at Saltley College for a period of scholastic training he became an assistant master at a school in Rugby. He was a well-known footballer in Coventry and district, having played for Coventry F.C. and regularly for the Midland Counties as a forward. A good all-round sportsman, he was universally popular. His body was either not recovered or not identified. Sidney is remembered on one of the Panels 54 to 60 and 163A of the Tyne Cot Memorial. The Tyne Cot Memorial is one of four memorials to the missing in Belgian Flanders which cover the area known as the Ypres Salient. Whereas those who died before 16 August 1917 are remembered on the Menin Gate, the United Kingdom servicemen who died after that date are named on the memorial at Tyne Cot. As well as at Tyne Cot, Sidney is commemorated on the Rugby Memorial Gates in Hillmorton Road, Rugby. He is also remembered on the St Peter’s College, Coventry Memorial Tablet, and also on the Bablake School Memorial in Coundon Road, Coventry. He was awarded the British War Medal and the Victory Medal and also the 1915 Star. His Medal Card and the Commonwealth War Graves Commission records, confirm that he was ‘Killed in Action’ on 22 October 1917. His widow is recorded as Mrs S G Wolfe, who at that later date, lived at 55 Berkeley Road Earlsdon, Coventry. His formal address when probate was awarded on 15 January 1918 at Birmingham was 157 Westwood Road, Coventry and probate awarded to his widow, Nellie Maud Wolfe, was in the sum of £101-10-6d. The birth of his daughter (Iris) was recorded in the same column of the newspaper as notice of his death. BIRTH. Wolfe. – On November 1st, at Earlsdon to the wife of the late Lieut. S. G. Wolfe, a daughter. DEATHS. Wolfe. – Killed in Action. Oct. 22nd, Lieut. S. G. Wolfe, of the Lancashire Fusiliers, aged 27 years. Leaves a wife and two children. This article on Sidney George WOLFE was researched and written for the Rugby Family History Group [RFHG] project, by Anne Rogers and John P H Frearson and is © Anne Rogers, John P H Frearson and the RFHG, October 2017. Industrial Housing in Rugby – L.N.W.R. Railways – To operate and maintain a railway requires people to work at places spread all along the line, often far from existing settlements. At places where stations are built accommodation for many staff are needed from opening day. People had to live within walking distance of work, and it was useful to the railway to be able to get hold of staff if something unexpected happened. By providing houses for their staff, the railway solved all these problems and the London and Birmingham Railway built several hundred houses along the line for the opening. The houses were each given a number and the earliest in Rugby were in the 700’s. They were all near the new station in Newbold Road, on the west side both north and south of the railway. Following the closure of the college, the two WWI memorial tablets have been moved from St Peter’s College to St Saviour’s Church, St Saviour’s Road, Saltley, Birmingham B8 1HW. Coventry Evening Telegraph, Friday, 2 November 1917. Henry Moses COWLEY was born in about 1883 in Rugby. He was the son of Henry Walter [b.c.1863, Clifton] and Anne/ie [b.c.1859, Swinford], née Turland, Cowley. Their marriage, in late 1882 or early 1883, was registered in Q1, 1883 in Lutterworth [7a, 17] and their first child, Annie E Cowley, was born at Swinford in 1883 – Annie had probably returned home for the first birth. Henry Moses was born in Rugby, two years later, and was baptised on 12 October 1883 at St Andrew’s church, Rugby; his father was a joiner and they were living in South Street, Rugby. In 1891 the family were living at 3 Alfred Street, Tamworth, probably Henry’s work as a carpenter had taken him there. In 1901, when Henry was about 17 or 18, his father was still a ‘carpenter’; and they were back in Rugby, living at 48 Claremont Road. Henry was a clerk for the railway, and his elder sister Annie was a clerk for the Cooperative Society. By 1911, when Henry was 28, he was still single and an Engineering Clerk for an Electrical Manufacturer. The family were now living at 46 Claremont Rd Rugby. His father was listed as a ‘carpenter and joiner’. His sister was not at home. Henry’s Service Records survive among the ‘Burnt Records’, however, there are not all legible, but provide some details of the complexity of his military service. He enlisted at Rugby, and took the oath of attestation at Rugby on 19 November 1915 and this was approved on 23 March 1916. He was then 32 years and three months old, a clerk, and enlisted for ‘Garrison Duty’. He was 5ft 5½ inches tall – and his service reckoned from 22 March 1916 when he now seemed to be 33 years and 90 days old! He had shrunk somewhat and was now only 5ft 4½ inches tall and weighed 122 lbs. His father, Henry Walter Cowley, is mentioned on Henry’s Service Record, and in 1915, he was nominated as Henry’s next of kin and was then living at 111a Clifton Road, Rugby. However his father’s death, aged 53, was registered in Rugby [6d, 812] in Q4, 1916. Henry seems to have had various numbers including No.5932 [or indeed No.5931] on forms from 5th Bn., the Royal Warwickshire Regiment [RWarR] and there is also an Army Ordinance Corps document and a Royal Engineers form with Henry’s number as 503775, where he was recorded with ‘trade and special qualifications’ as ‘Proficient’ and a ‘Clerk’. This posting to the Royal Engineers as 503775 is confirmed on his Medal Card. He did not receive the 1915 Star, which also confirms that he did not go to France until 1916. His Service Record shows that he went to France/Belgium with one of the RWarR Battalions, but the actual date of his embarkation at Southampton and of his subsequent disembarkation cannot be read, but he transferred to the 1st/8th Bn., RWarR on either 14 July 1916 or 31 July 1916. He suffered some illness and on 25 November 1916 he was at 1/1 SMFA [probably South Midlands Field Ambulance] suffering from Diarrhoea having been admitted to 3CRS on 22 November 1916. He rejoined his unit on 1 December 1916. He seems to have had a further medical problem and was at ‘CRS IFA’ on 6 April 1917 but was back ‘to Duty’ on 20 April 1917. On 7 June 1917 he was transferred to the 1st/8th Bn. RWarR, which had, on 13 May 1915, become part of the 143rd Brigade in the 48th (South Midland) Division and then on 7 September 1917 he was transferred again to 10th Bn., RWarR, which was in the 57th Brigade in the 19th Division, and was his final Battalion, where he served as No.307605, and this number was used for issuing his medals. The 10th Bn. RWarR were involved in many of the actions in the 3rd Battle of Ypres in 1917: the Battle of the Menin Road Ridge (20 – 25 September 1917); the Battle of Polygon Wood (26 September – 3 October 1917); the Battle of Broodseinde (4 October 1917); the Battle of Poelcapelle (9 October 1917) and the First Battle of Passchendaele on 12 October 1917. Presumably Henry took part in and obviously survived all these. There was then a period of comparative calm before the Second Battle of Passchendaele which started on 26 October 1917. From 14 October 1917 over the last few days before he was killed, the Battalion had been in the trenches, but had had a quiet relief. For the next few days they were in reserve and the days were ‘quiet’ – although ‘quiet’ typically meant that one or two men were wounded each day. Friday 19 October – ‘At night the Battalion was relieved … Quiet but very slow. Relief reported complete at 4.50am on 20th. On relief Coys. proceeded to camp … (Beggers Rest). It seems that Henry Cowley was one of the ‘3 killed’ from the 10th Battalion on Friday 19 October. He was 34. The other two men were Private Carl Rudolf Wedekind, No.2536, aged 19, from Birmingham; and Private Arthur Morton, No.41676. Henry Moses Cowley was awarded the British War and Victory Medals. After his death the Army was instructed that his effects were to be passed to his mother care of H. L. Reddish (Solicitors), 6 Market Place, Rugby, and these were sent on to her on 17 April 1918. Henry’s Administration was in London on 21 February 1918 to his mother, Anne Cowley, widow, now of Rockingham House, 111a, Clifton Road, Rugby in the amount of £137-0-7d. Various payments were made to his mother by the army: £3-10-10d and 12/2d owing in back pay was paid as £4-3-1d on 6 April 1918 and a further War Gratuity of £6-10s was paid on 15 November 1919. This article on Henry Moses COWLEY was researched and written for the Rugby Family History Group [RFHG] project, by John P H Frearson and is © John P H Frearson and the RFHG, July 2017. Probably – ‘Camp Reception Station – 1st Field Ambulance’.